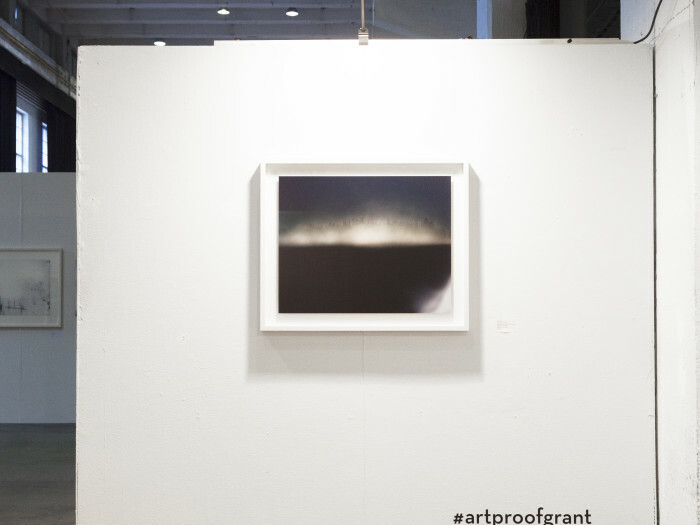 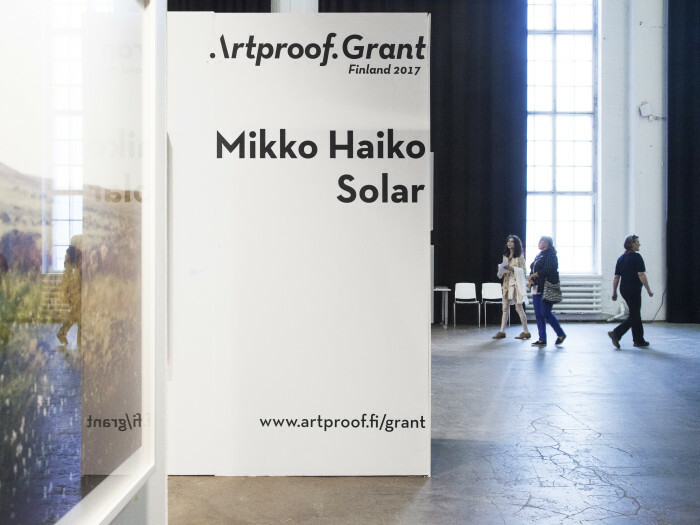 Mikko Haiko "Solar – Artproof Grant Finland 2017"
The winner of the Artproof Grant Finland 2017 is a Helsinki-based artist Mikko Haiko (b.1984, Lemi). 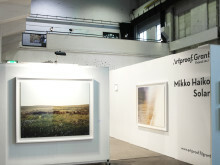 The exhibition will be opened on the Wednesday May 23rd at the Art Fair Finland in Cable Factory, Helsinki. His works are on display during the event May 24 – 28 at Merikaapelihalli. 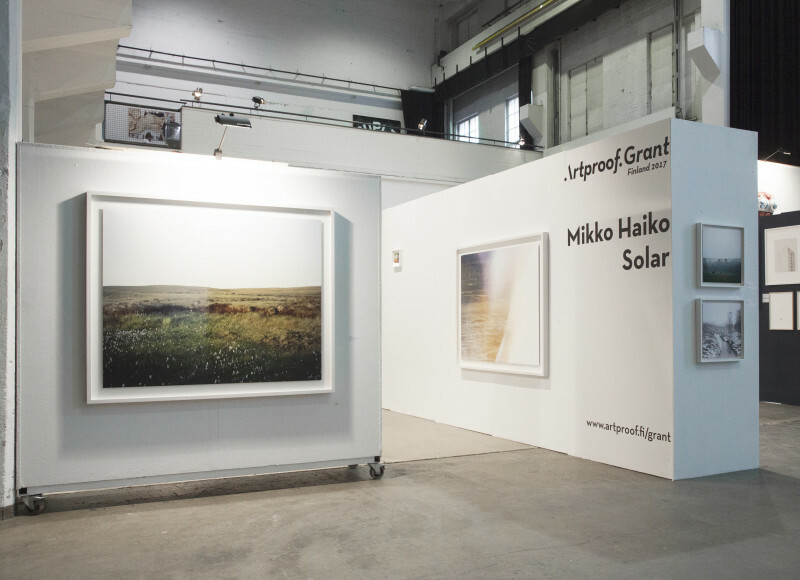 Mikko Haiko´s series Solar explores the relationship between man and environment and incompleteness. 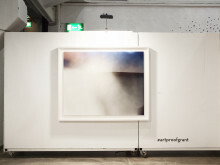 ”Feels like sometimes I loose the connection with the environment, I get stuck in my mind and I fear mistakes. 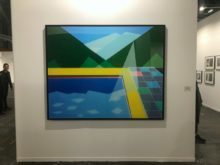 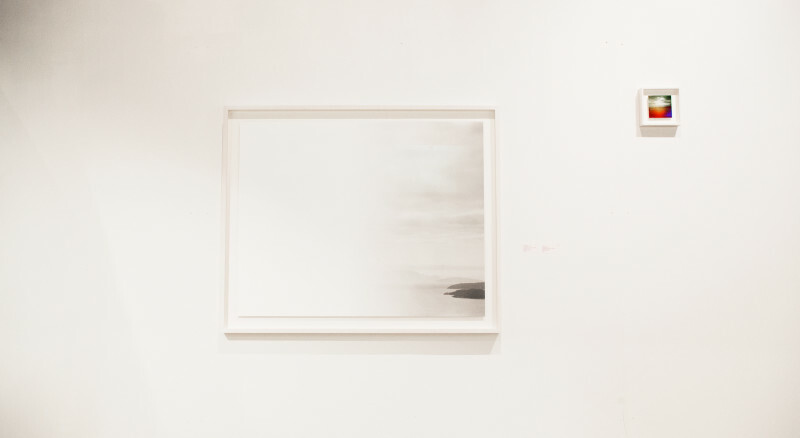 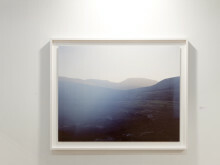 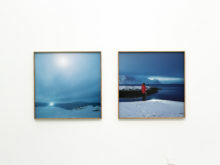 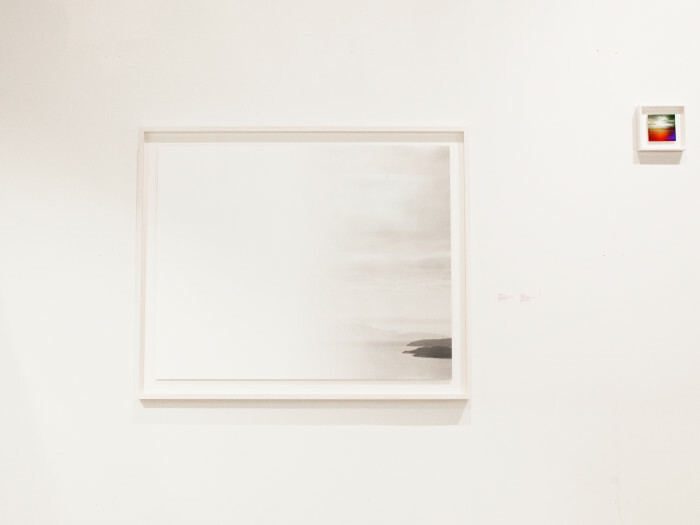 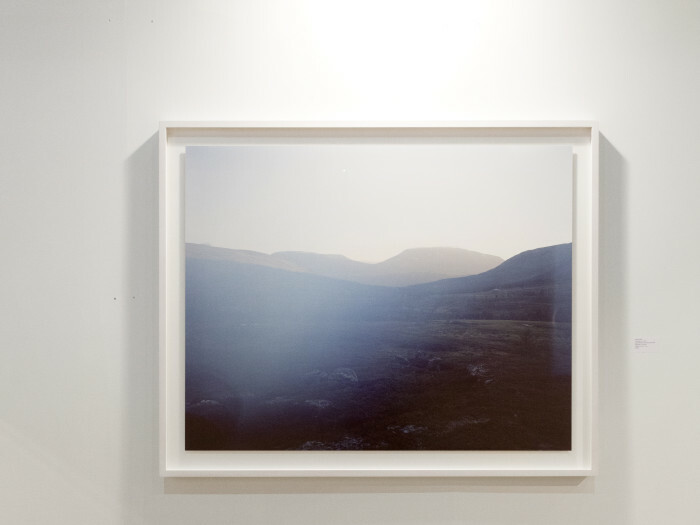 As a counterword to the these symptoms I make trips to periferic regions to quiet down and to be connected with the landscape.” In his works Haiko shows the error. 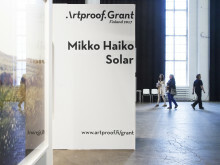 He exposes his negatives to bright sunlight. 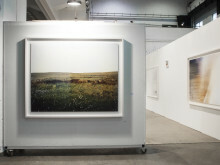 ”Taking photographs becomes a mental exercise.  I drop control and call for chance to co-operate with me. 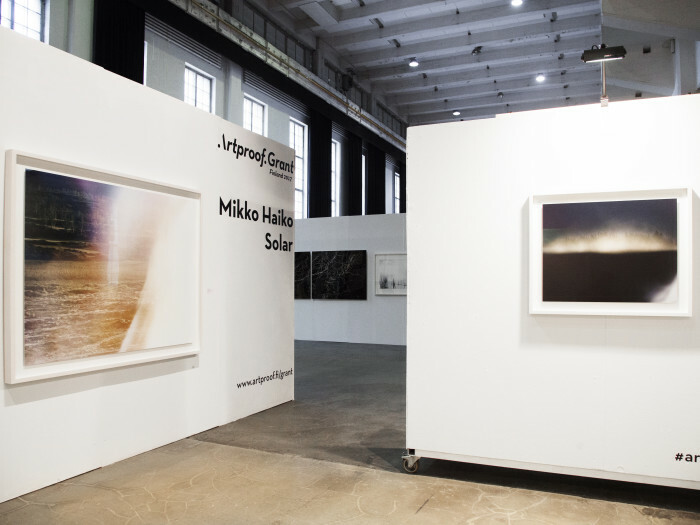 Incompleteness and accepting mistakes become an essential part of the work, Haiko describes. 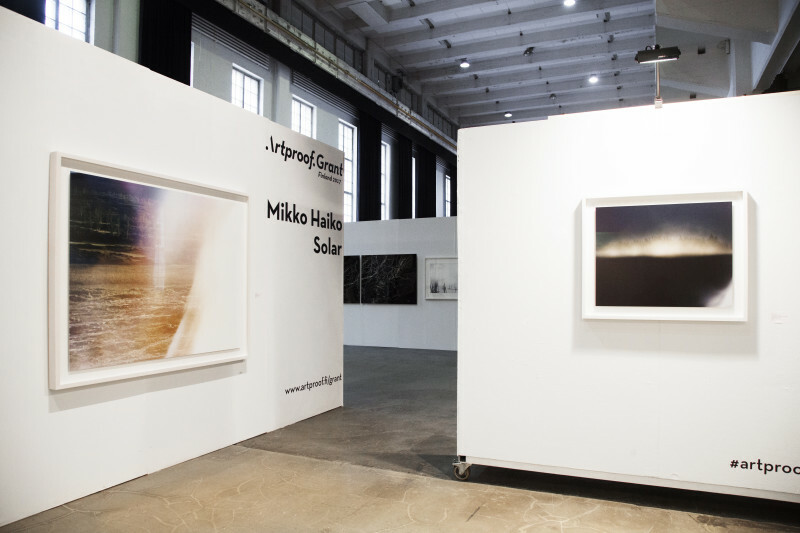 Currently Haiko is finishing his Master of Arts degree in Aalto University. 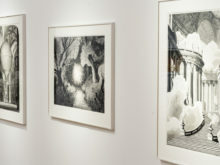 His works have been exhibited in solo and group shows both in Finland and abroad. 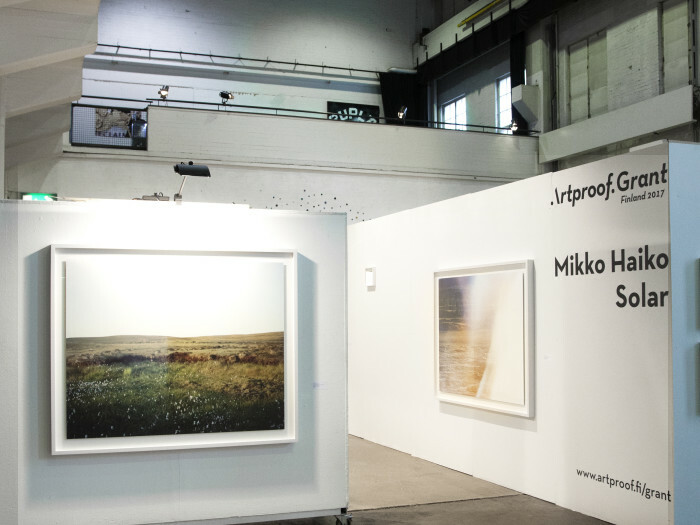 In 2014 he was one of the Fotofinlandia -finalists. 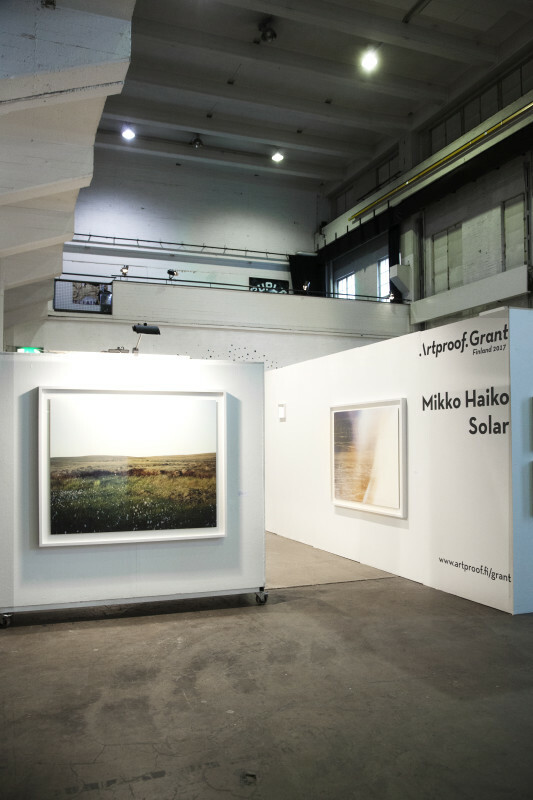 In summer 2017 Haiko´s works can be seen in ”Faces of Carelia” – group show in Lappeenranta Art Museum. 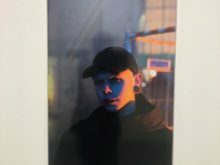 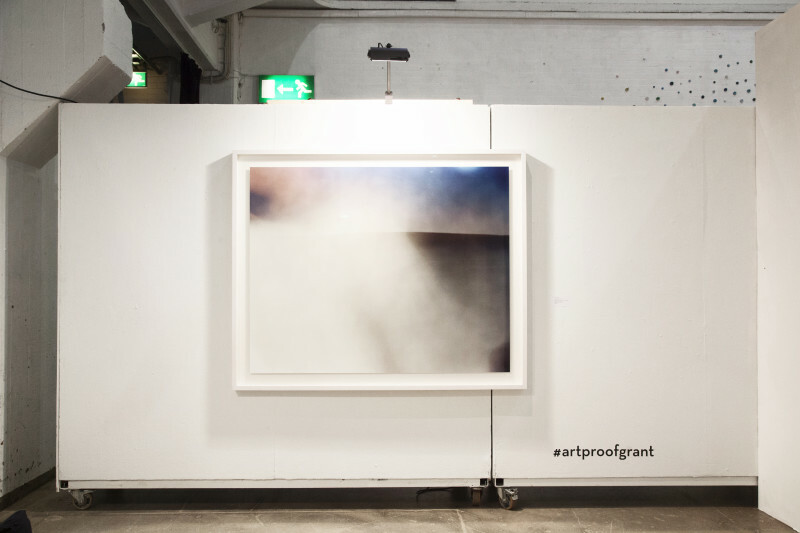 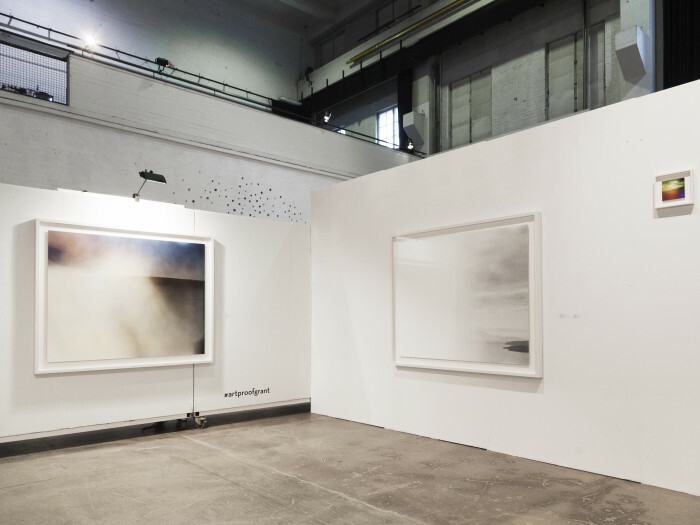 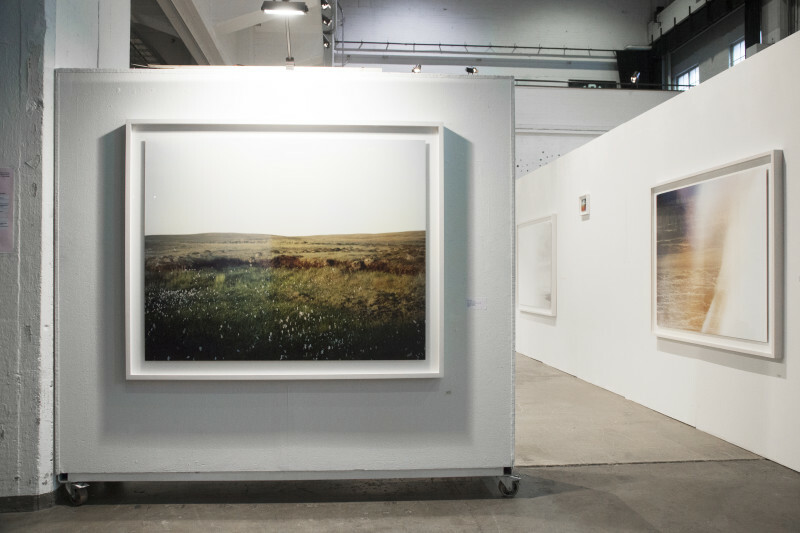 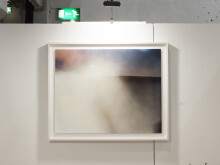 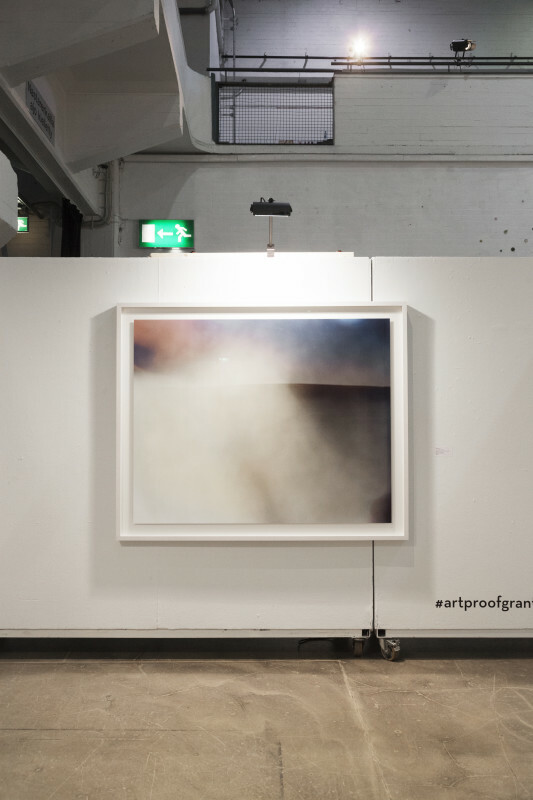 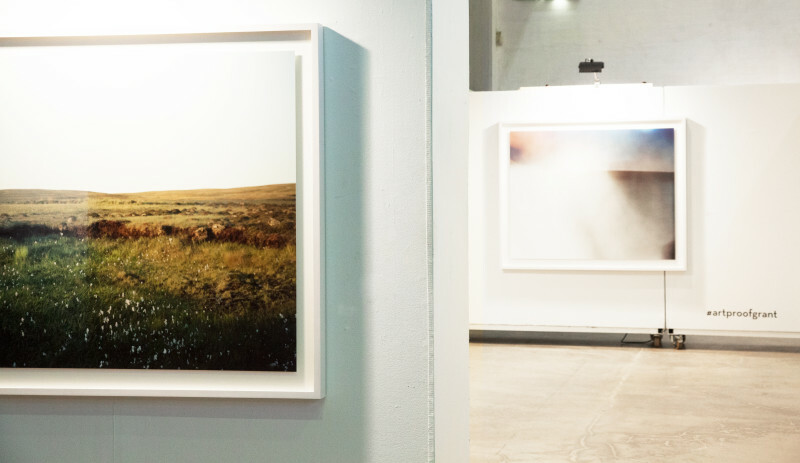 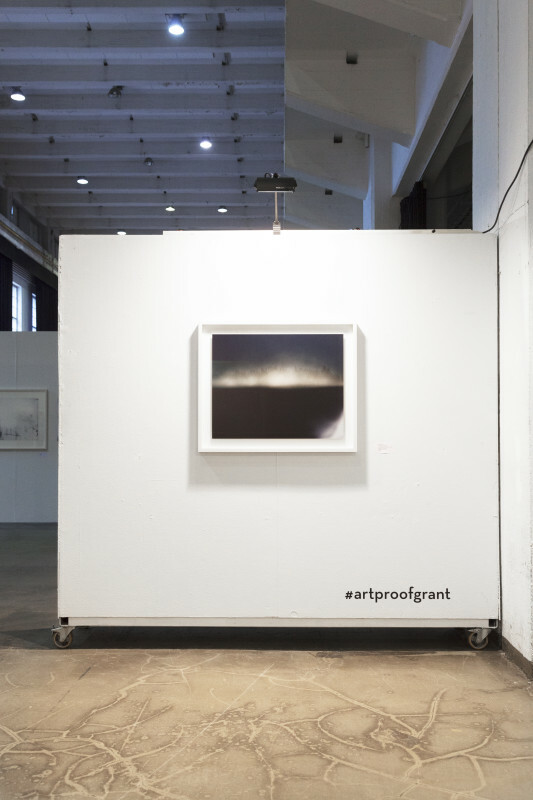 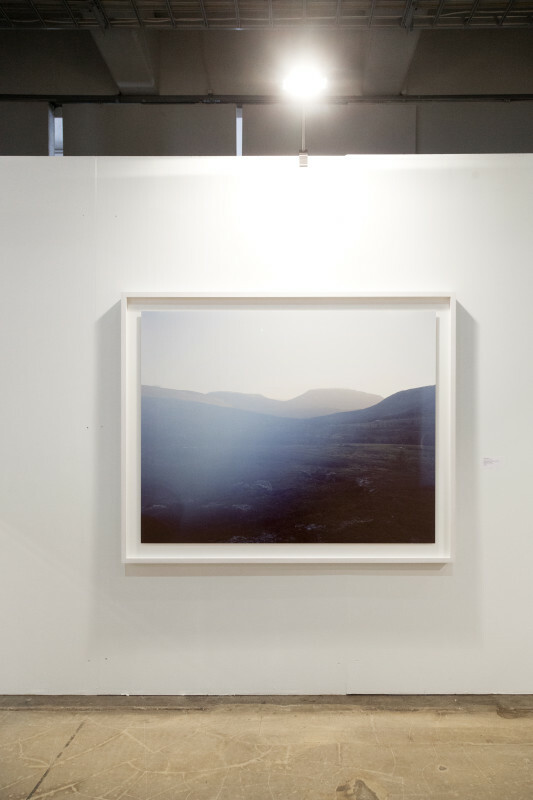 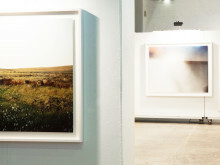 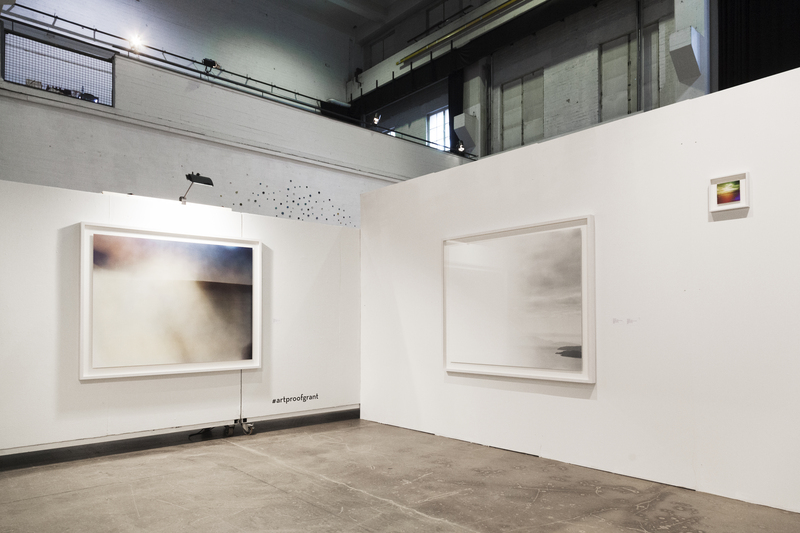 Artproof is a service oriented fine art laboratory in Tallinn that works with artists to print their vision, as envisioned, and deliver it framed for private or public exhibition. 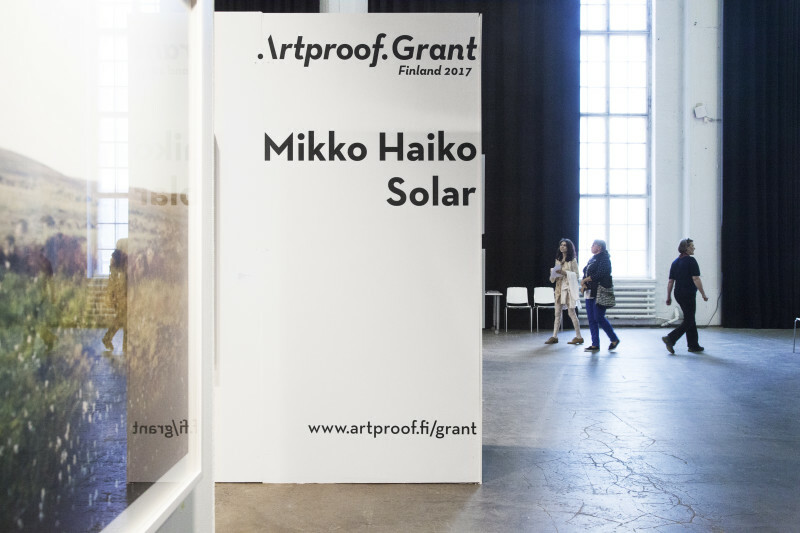 Artproof Grant Finland is given out for the second time and the grant is 5000€ for the production of art works. 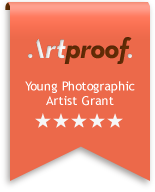 The jury consisted of the Member of Photographic Artists’ Association Viivi Nieminen, the previous winner of Artproof Grant Hanna Rast, Varpu Lukka of the Artist Association MUU and Taavi Rekkaro from Artproof.